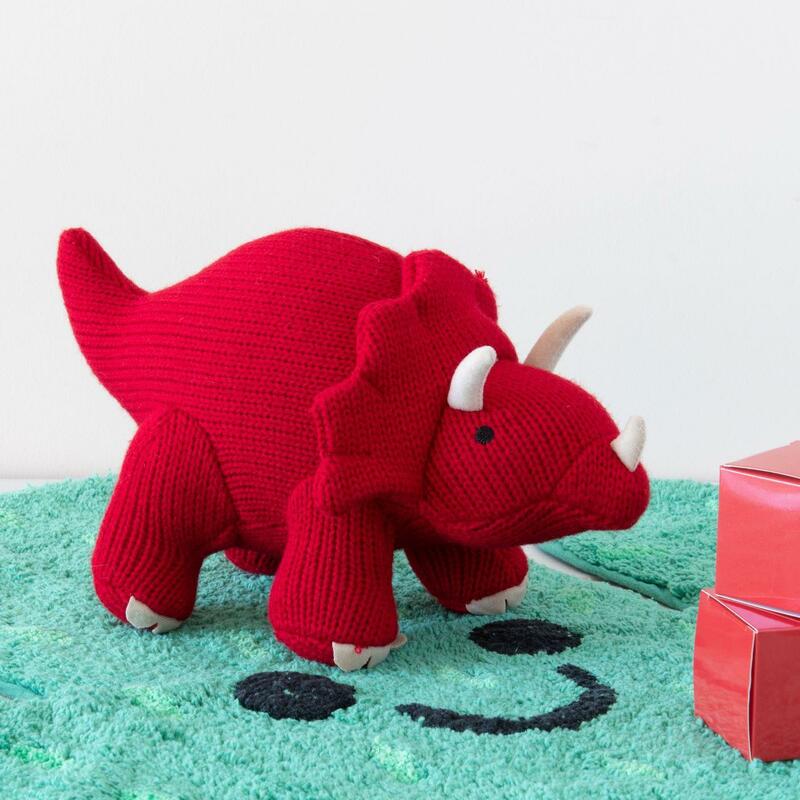 Best Year's sweet small red Triceratops knitted dinosaur rattle is a perfect gift for any new baby. This knitted dinosaur soft toy rattle has a soothing sound and is the perfect size for babies and toddlers. These dino rattles make fabulous dinosaur baby gift ideas - the hardest decision is which to one to choose. Have you seen our range of co-ordinating cards?